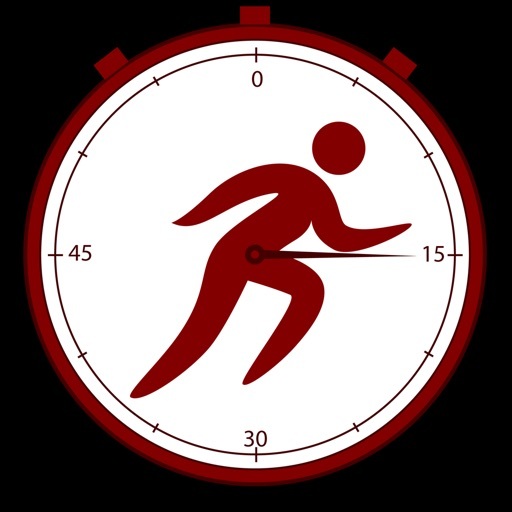 The AeroExaminer App includes three aerobic capacity tests in one App: Beep (or Bleep), Yo-Yo Intermittent and a Treadmill Tests. Also, it includes our popular AeroRadar App. These tests are known as multi stage shuttle run tests (MST) and are used to estimate an individual's maximal oxygen uptake (VO2 max), which gives an indication of one’s aerobic fitness. They are commonly used to test athletes in sports such as soccer, most team sports, and others. This app is available in a sale bundle with our FartlekDrill App, allowing you about 25% savings when compared to purchasing separately. Advanced and experienced athletes can create their own versions of any of the tests by modifying shuttle distances, starting velocities, or other parameters. Also, the tests are suitable for training, which can be adjusted to the athletes needs by modifying the test parameters. The App is designed to interact with our Fitness Apps, so the user can have an integral "trainer". Also, using the "Utilities" function, you can register as a member to our website, free of any membership fees, and have access to several useful resources. The test, also known as the 20 meter shuttle run test, "Beep" or "Bleep" test, is typically used to determine maximal running aerobic capacity. It consists in running shuttles between two lines 20m apart, at a given speed. After a predetermined number of shuttle runs, the speed is incremented (for a new level) in accordance to an established increment period. Each level takes close to one minute of running time. Based on the final achieved speed, an estimate is made of the VO2 max. 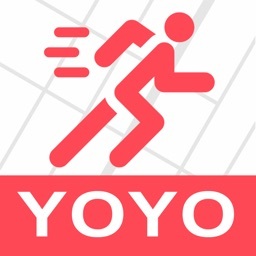 The Yo-Yo Intermittent Fitness Test is a variation of the 20 meter beep test. It uses 40m shuttles and incorporates a recovery period after each 40m shuttle run. 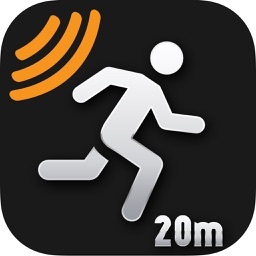 It consists in running at a given speed to a line (20m away), turn around and return. This is one shuttle. After each shuttle is completed, hold for a given recovery period. 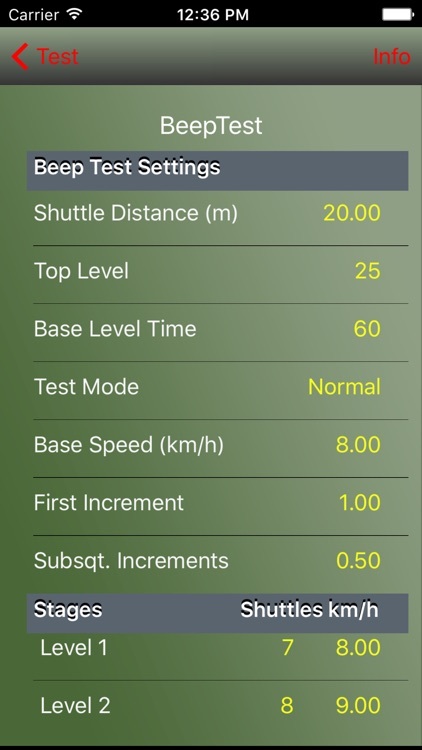 After a determined number of shuttle runs, the speed is incremented in accordance to an established sequence. Based on the final achieved speed, an estimate is made of the VO2 max. The treadmill test is modified version of the 20 meter Beep test. It consists in running for 60 seconds at a given speed. Then, the speed is incremented (for a new level) in accordance to an established increment period. 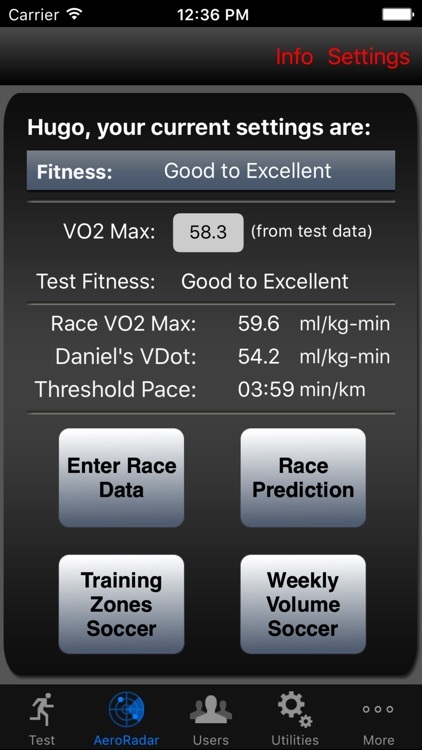 Based on the final achieved speed, an estimate is made of the VO2 max. • Use the Detailed Setup to customize most test parameters. • Save your customized test. • Help available for user input parameters. • includes our popular AeroRadar App. 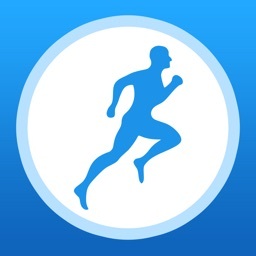 • Sync to iCloud (IOS 6.0+) the databases and share with other devices and our Fitness Apps. • Saves data of multiple users. • Supports portrait and landscape screen orientation on the "Run Screen". • Lock the screen orientation before running. 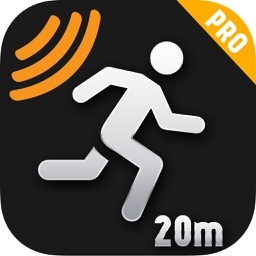 • Listen & control music or audio books while running. 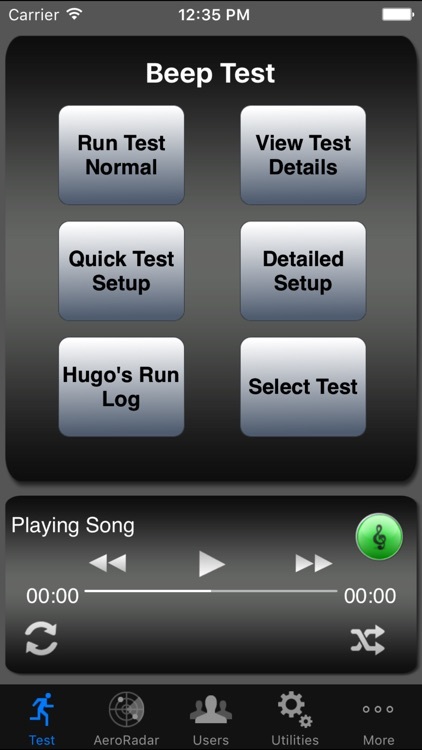 • Quick access and control of the iPod’s music, select songs, playlists, audiobooks, etc. • Detailed test information with table of contents. • Male or female voice guidance. • Several types of announcements. • Export the user data by e-mail, in sqlite3, XML and CSV formats. 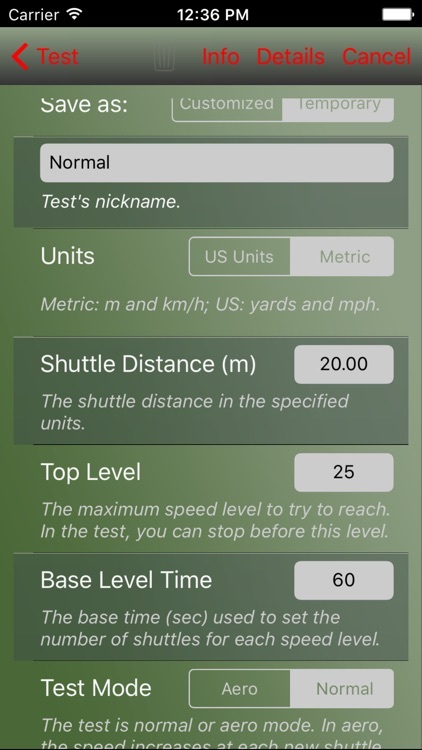 • Select metric or US units. • Utilities to facilitate registering each user to our Member Center and reporting problems. For more information about training concepts and other useful information, visit the pages in our "Support" section of our Website.